Anna started to play softball this week. Her team is the rookies of the rookies, the youngest team in the league. However, great fun was had by all, including the parents who watched through eyes clouded by tears. It was that funny! Notice that all of the girls' gloves are pink. Their team name is the unicorns and last game they played the all-star princesses. 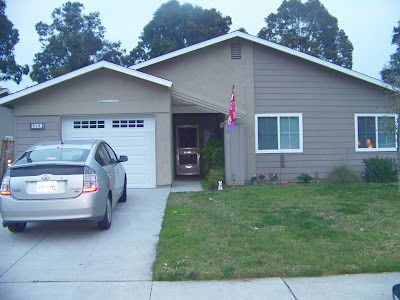 Here is our new house on Camp Pendleton. Smaller, yes, but on the brighter side . . . less to clean. Our new view from our backyard. 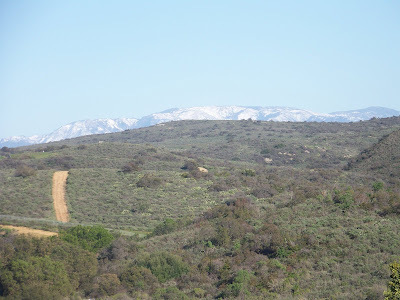 Yes, that is snow on Palomar Mountain! 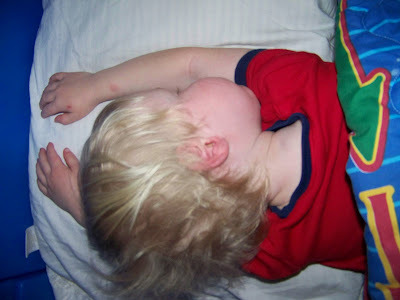 Jason dreams of being Superman! So, we moved into our new house on a Friday and the movers did not come with our stuff until Monday. No toys, no TV and two parents who were going crazy. The solution? Couch cushion diving!